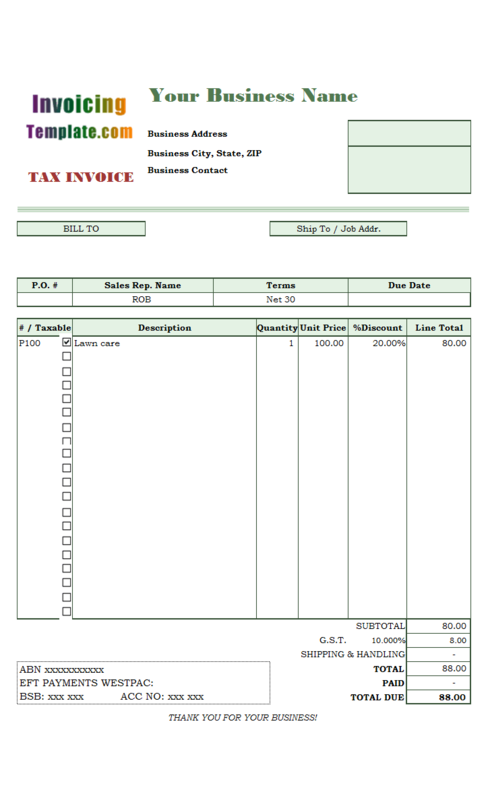 Tnt Commercial Invoice Template is a sub-topic of Commercial Invoice Templates . 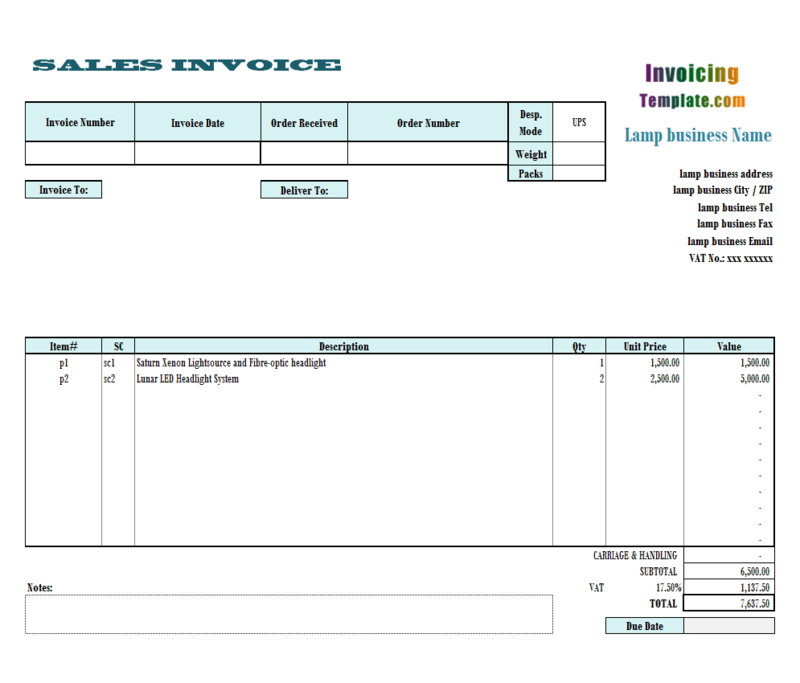 Here are our templates closely related to Tnt Commercial Invoice Template. 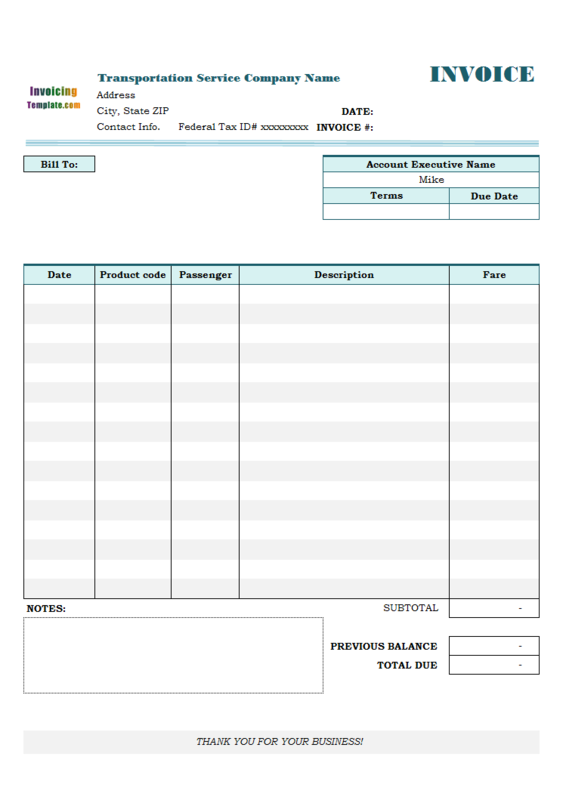 This Blank Commercial Invoice Template was originally published on office-kit.com as c7004 and is now revised and published here on InvoicingTemplate.com. 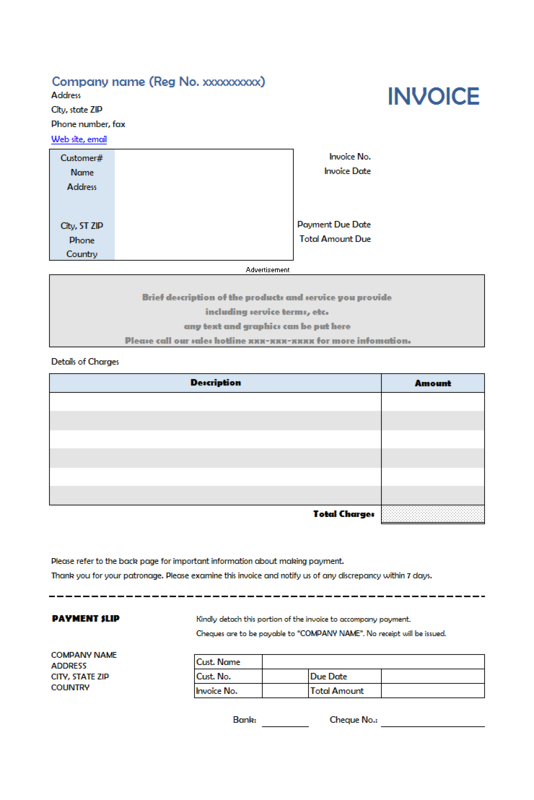 It differs from the original in that this version includes a logo image on the top of the form. 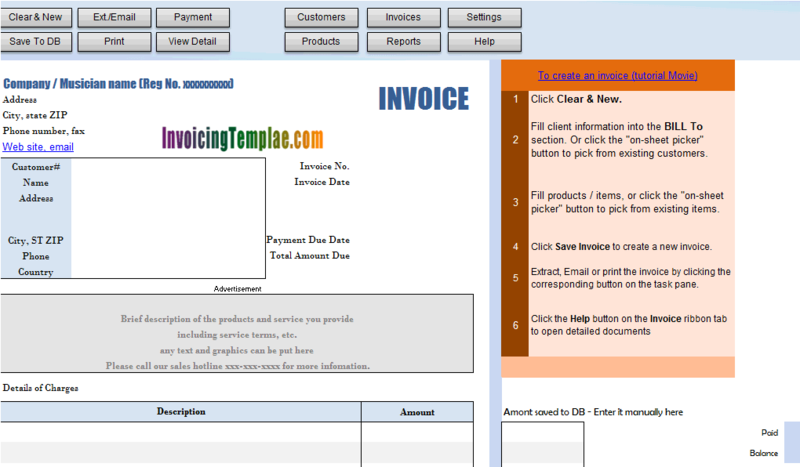 Like most other invoicing templates available here on InvoicingTemplate.com, with the original Commercial Invoicing Template the company/business headings and the big "INVOICE" label are all general Excel cells. 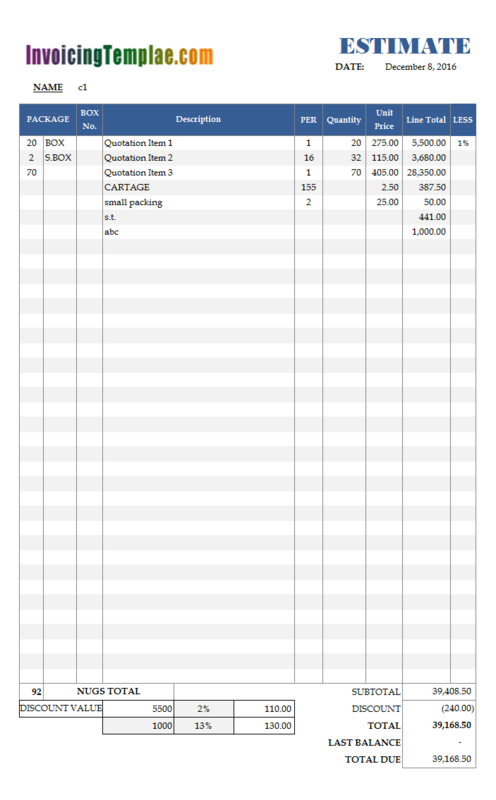 They differs from the other text labels on the spreadsheet with only font size and colors. 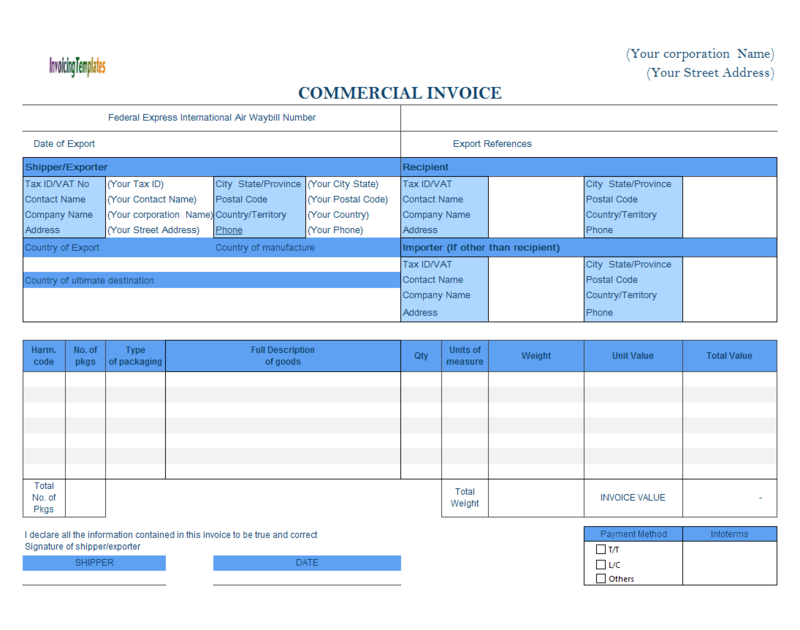 With this customized design - Commercial Invoice Template with Colorful Business Name, they are replaced with text box and a litter bit of word art is also added. 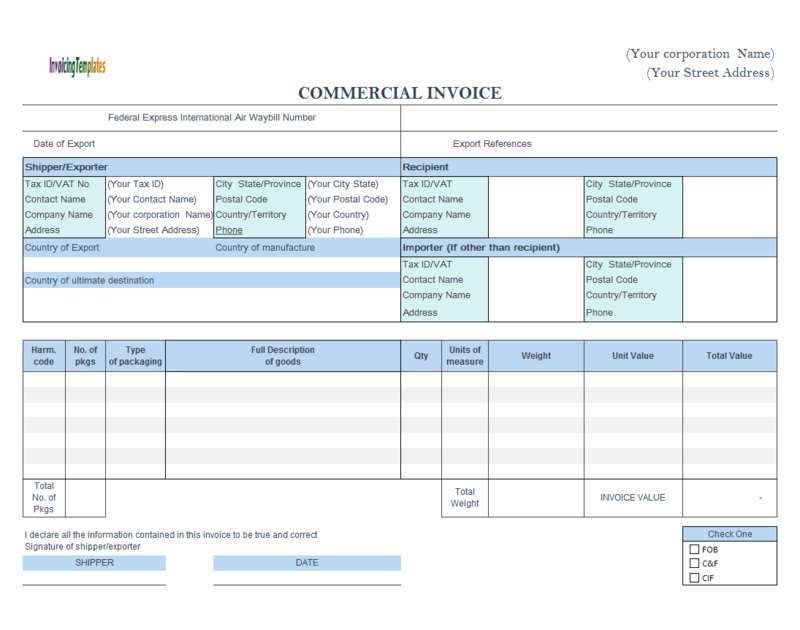 Suddenly, the original general commercial invoicing form looks bright and shines. 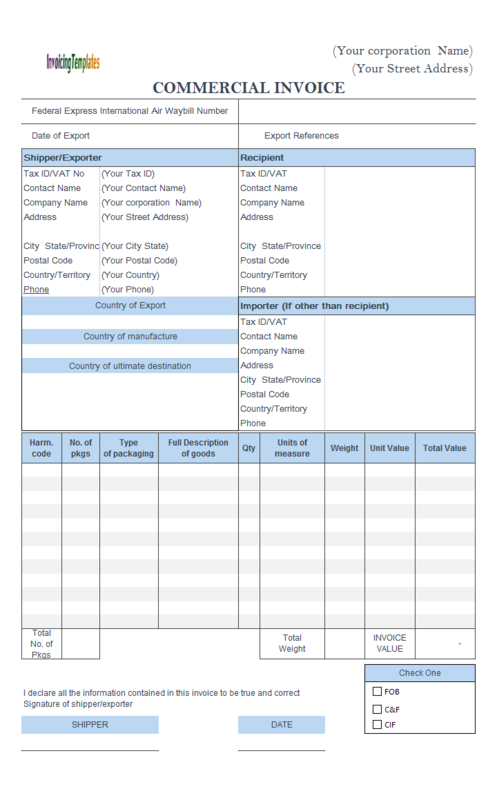 Second, choose a cell to place the Incoterms field. In this sample, we choose the range P38:P41. Clear the existing content / checkboxes. Name the "oknINCOTERM" and unlock it. 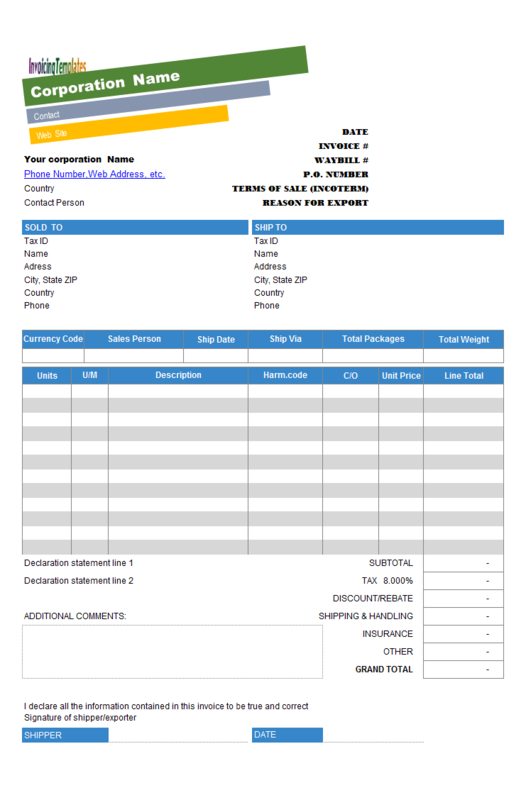 This sample commercial invoice offers a free downloadable and fillable template in Microsoft Excel spreadsheet (xlsx) and Adobe PDF format, with the form layout similar to the sample template on FedEx. 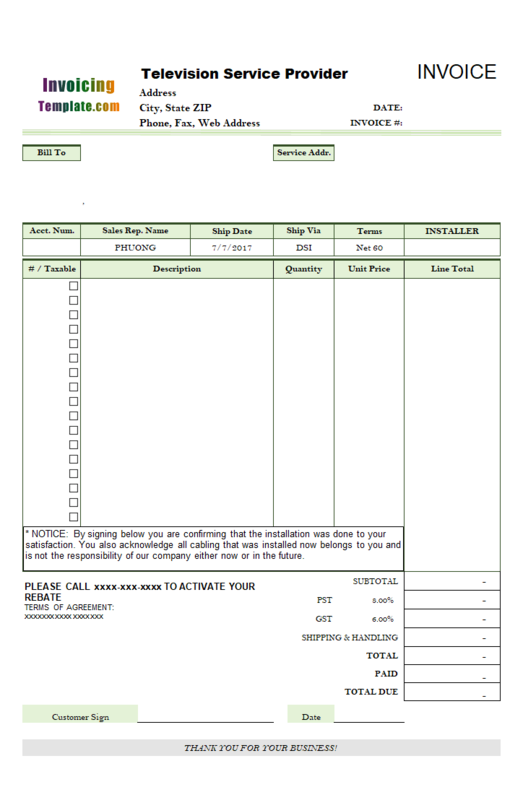 In Microsoft Excel, there are in fact two ways to add checkbox to a spreadsheet - by using a form control, or by using an ActiveX control. Both options are located on Excel's "Developer" ribbon tab. This tab is not shown by default in Microsoft Excel. To make it visible, firstly you right-click an empty area on the ribbon and then choose "Customize the Ribbon" command from the shortcut menu. On the "Customize the Ribbon" section of the Excel Options dialog box, check the "Developer" option and click OK. In this example, we named the cells for the newly added fields "oknInsurance" and "oknCurrencyCode" respectively. In the underlying database tables, the corresponding fields are named "Insurance" and "CurrencyCode". 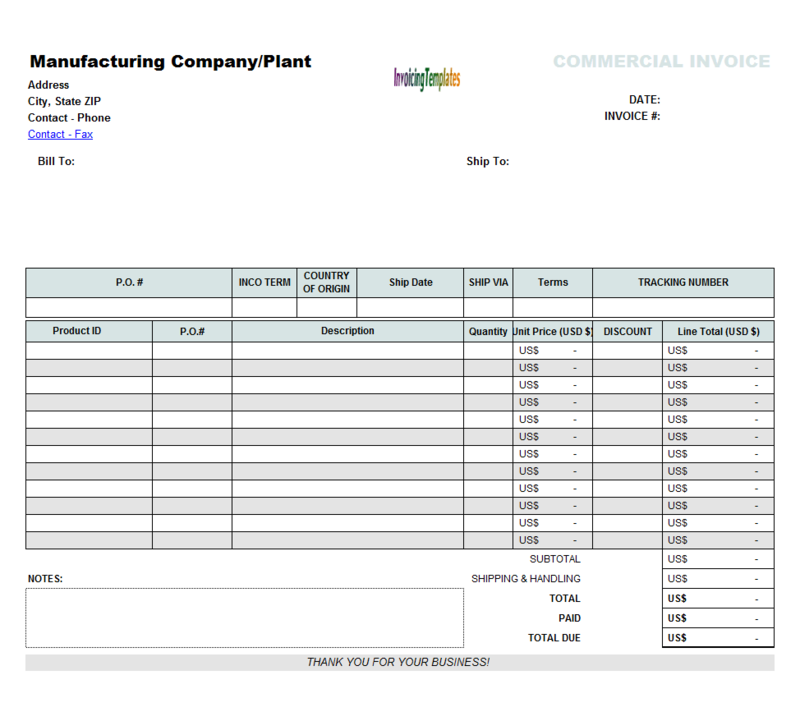 As you can see from this sample, the mapping between database fields and Excel cells are archived by using names. To map a cell to a database field, simply name the field "okn + fieldname". 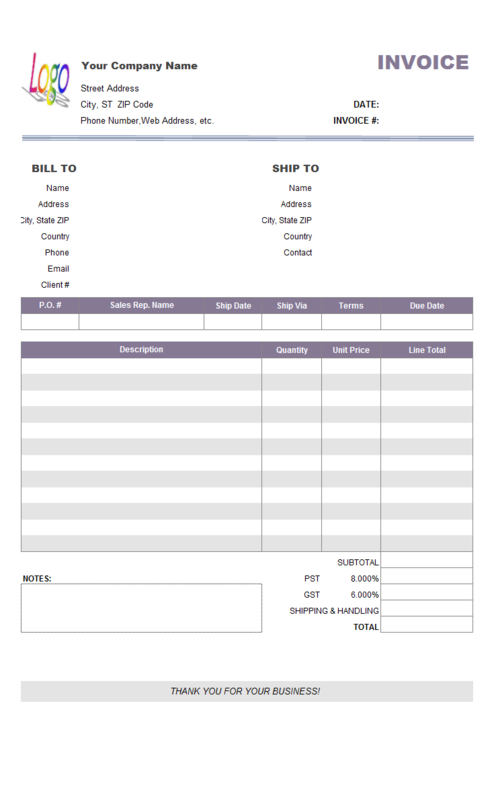 As a service invoice template, this design sample does not include the "Shipping Address" section. 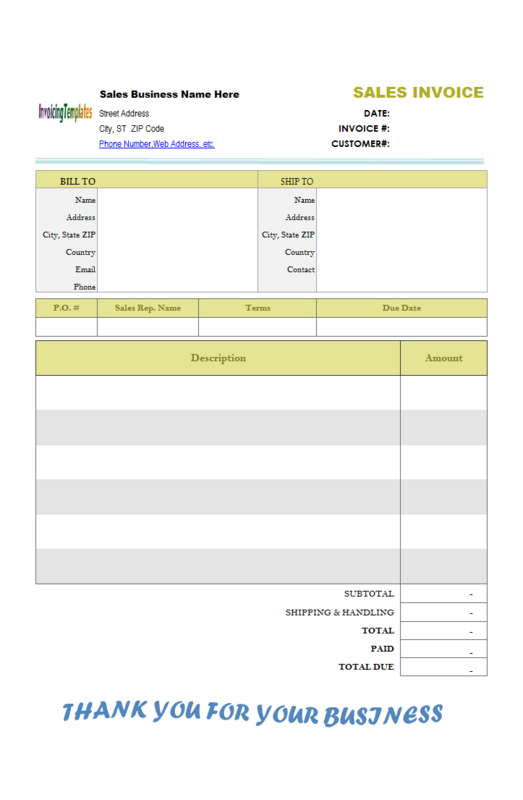 It is a basic template that includes only two columns, "description" and "amount". 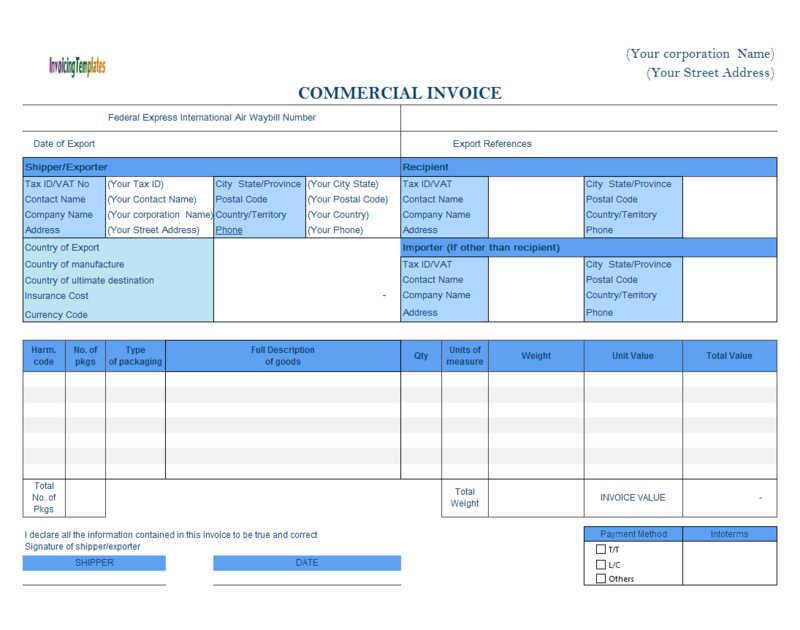 Here on InvoicingTemplate.com we've already published several templates related to transportation business. 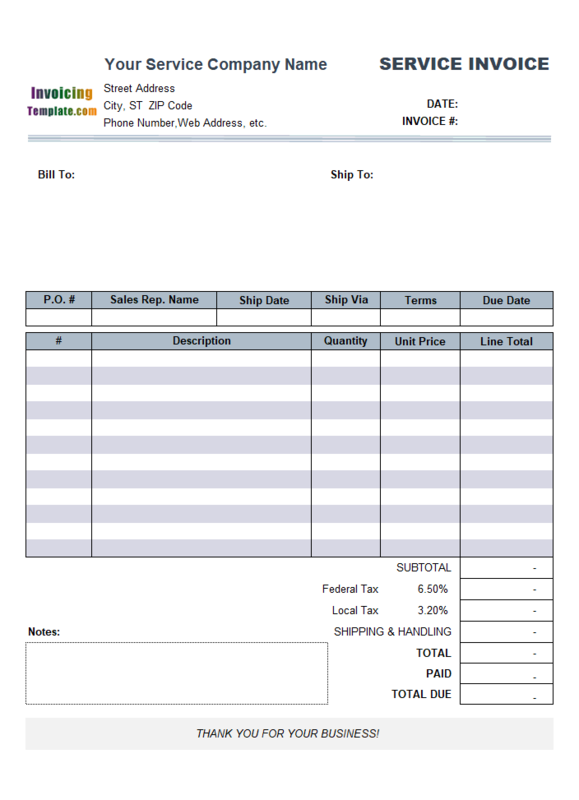 For example, c5013 Shipping Invoice Template, c5048 Shipping Invoice Template (2), and c5087 Excel Shipping Invoice with Printable Truck Background Image. 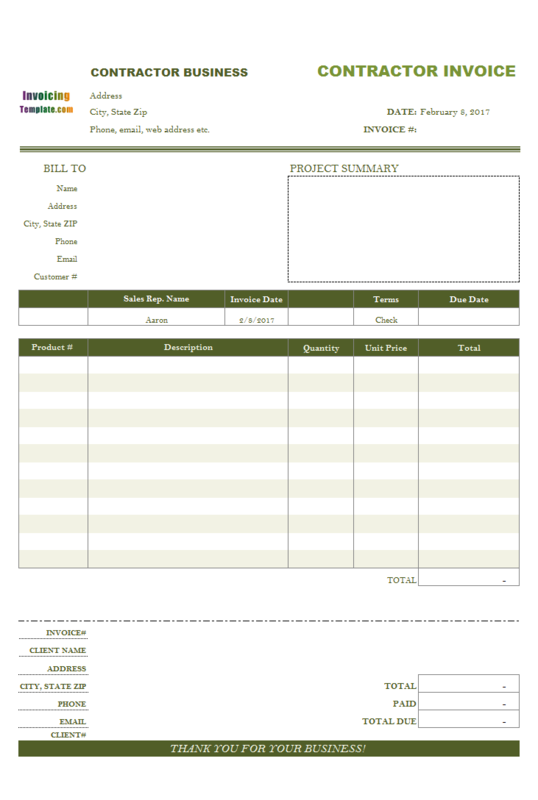 Since this template is designed for standard A4 paper in landscaping orientation, the "Description" field is relatively long compared to many other templates here on InvoicingTemplate.com. This is recommended by one our customers that is a vendor of special purpose lamps. The business offers a wide range of products - for medical equipment, like "Lunar LED Headlight System" and "Saturn Xenon Lightsource and Fibre-optic headlight"; and there are also lamps and bulbs for scientific and laboratory equipment made by many different manufacturers. 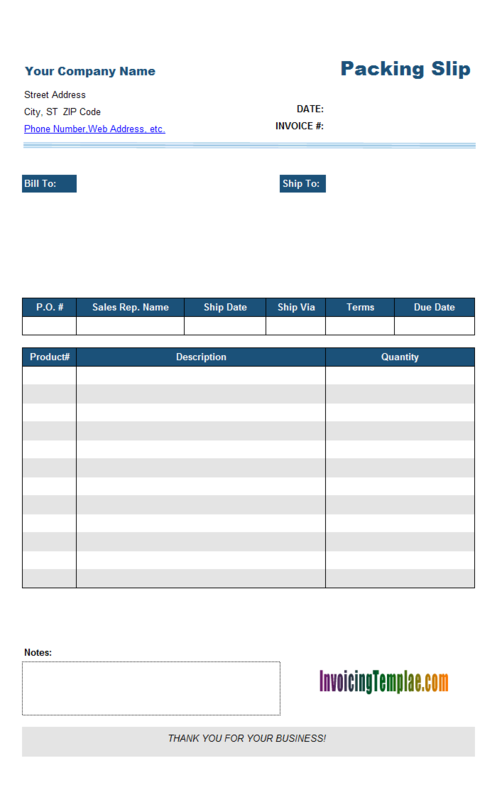 By moving out the "Maat" column, this template is now more generic and thus suitable for more sales companies that need the shipping section on their invoicing form. 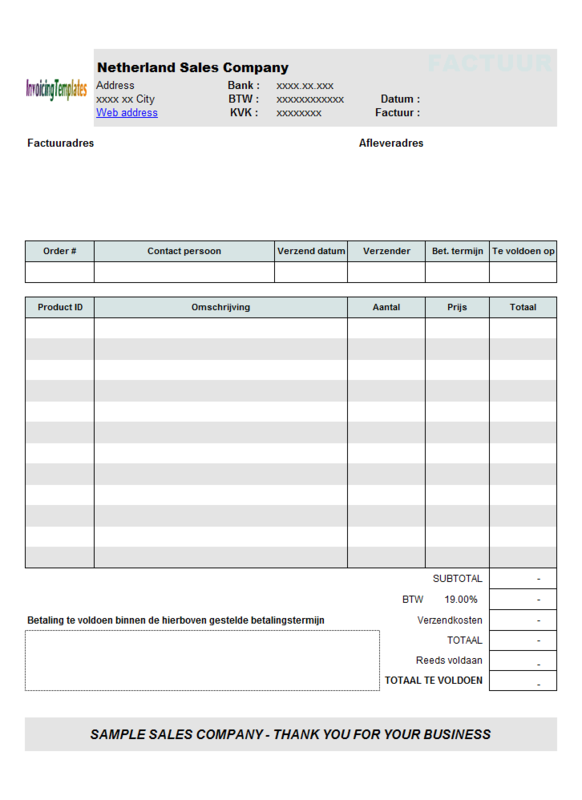 If you are offering services and don't need the shipping address fields, refer to c5051 Netherland Service Invoicing Format 2. 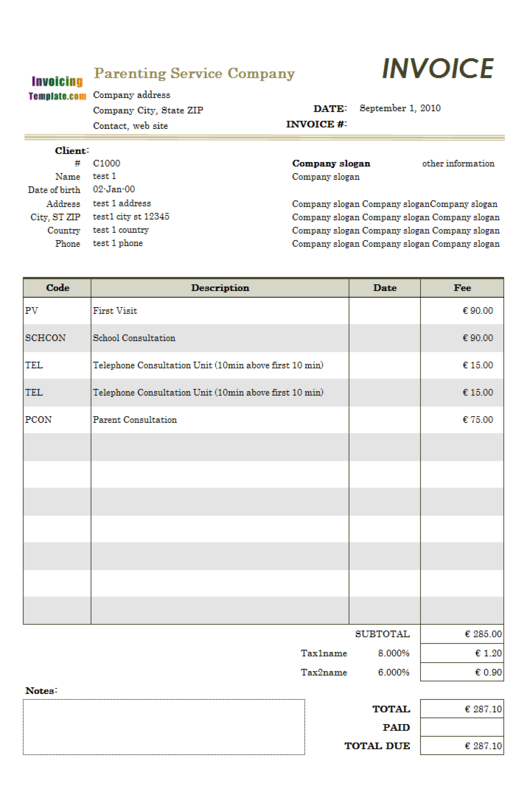 If you would like to see a service bill example where the "Size" column has its title changed to "Hours", see Netherland Service Bill Design. 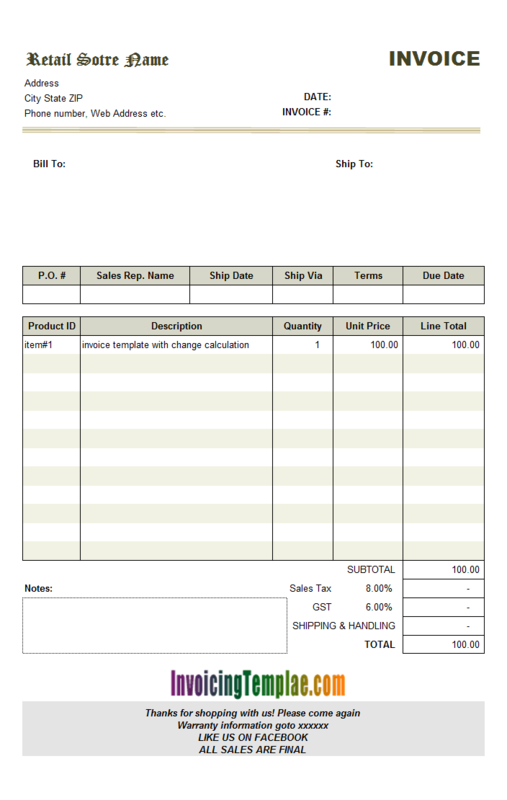 If you use the freeware version of our packing list template, there is no need to install Invoice Manager for Excel (namely Uniform Invoice Software). 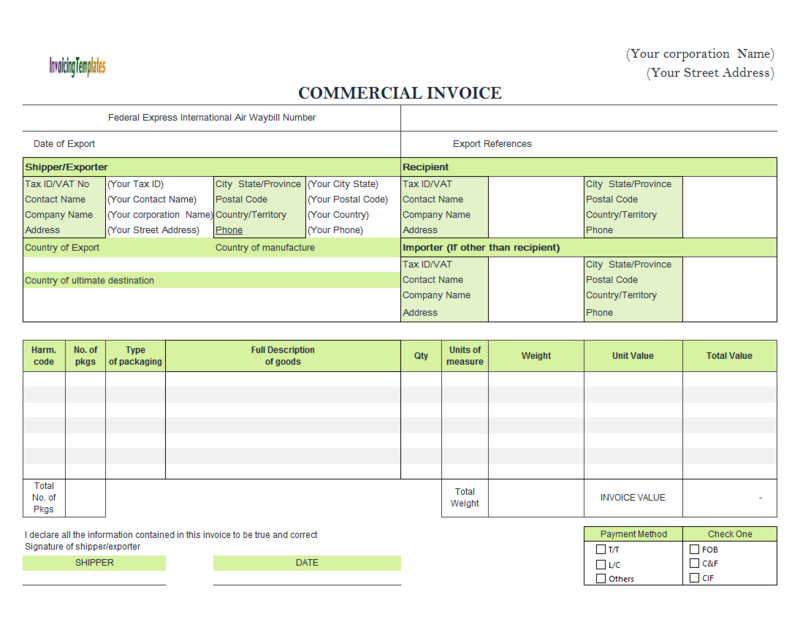 But if you need those advanced features, such as management of customers, products, invoices and payments, or want to be able to convert an invoice to a packing list, installing Invoice Manager for Excel (namely Uniform Invoice Software) is necessary. 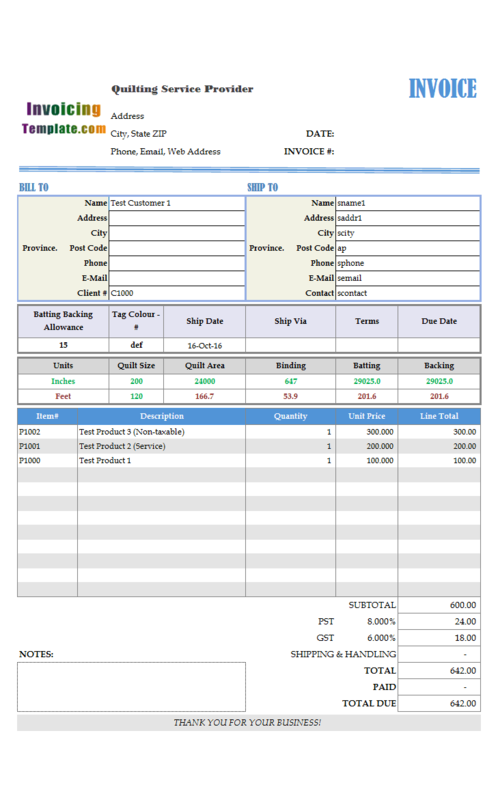 The trial version of Invoice Manager for Excel (namely Uniform Invoice Software) works for 30 days, within this period you can test it to see if it meets your business requirements. 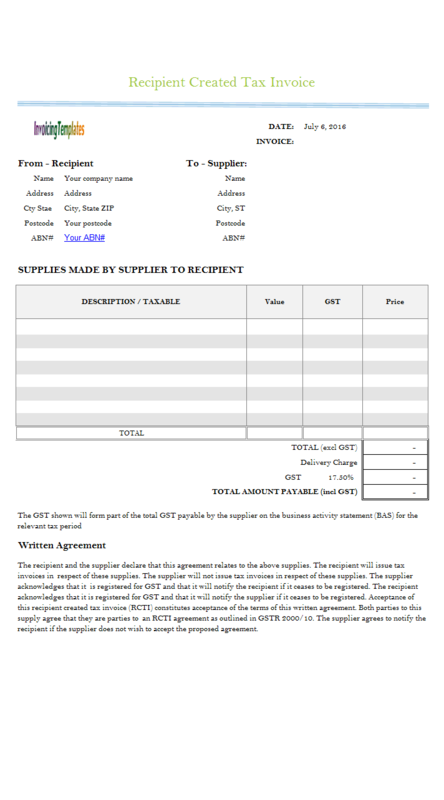 In this sample template, we take c4062 Simple Tax Invoice Sample with Tax Rate List as the base template (i.e. the starting point of our customization). 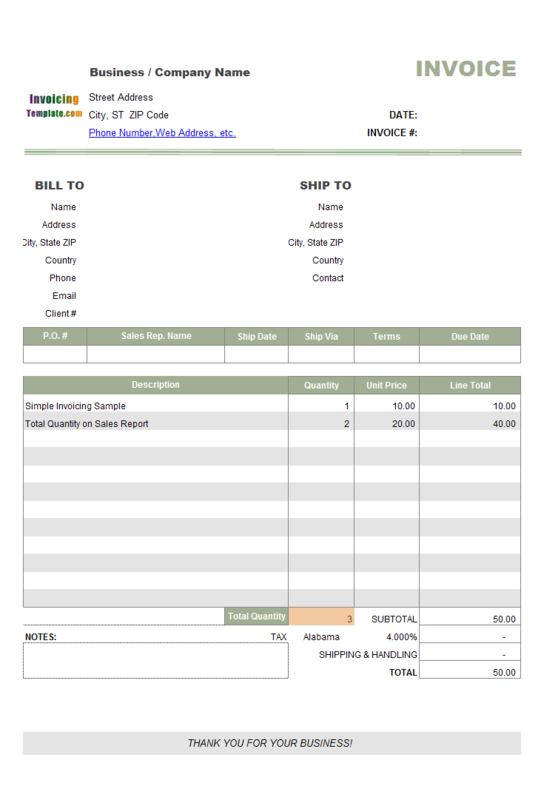 See how to create your invoice template for more information on the general rules to adhere and the basic technique details.